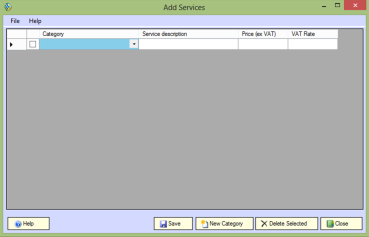 Receipt-IT The easy way to generate invoices for chargeable procedures without pre-printed forms. 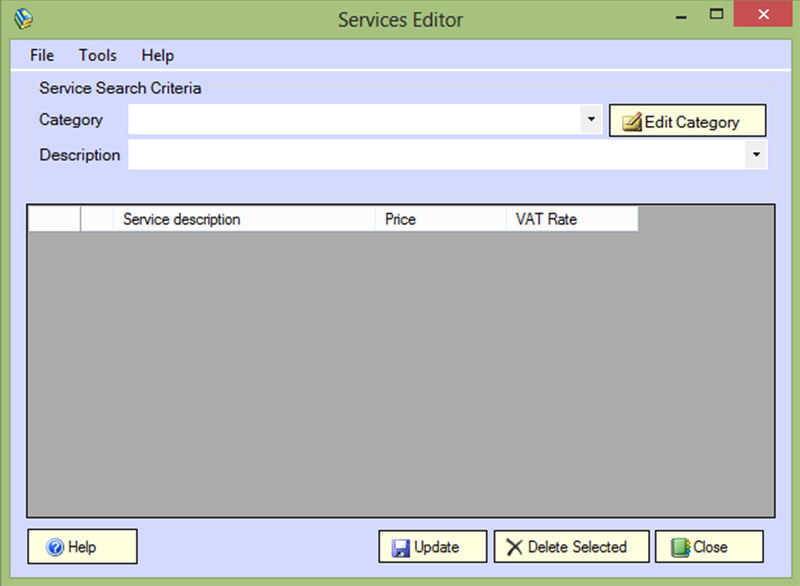 Do you find that it has become difficult to track the patients that need to be billed? Is your surgery losing money because hand written invoices are being mislaid and lost during those peak times? Are your dispensers having to work extra hours performing menial admin tasks, instead of serving patients that need their medication? Receipt-IT was designed specifically for Doctors Surgeries to remove these burdens and allows your Nurses to focus on providing quality healthcare. 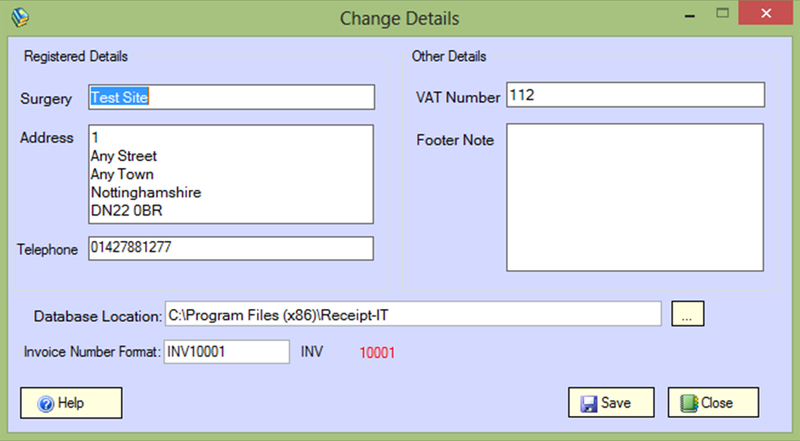 Receipt-IT will also maintain a database of all invoices generated in a history file for your interrogation or for reprinting at any time. 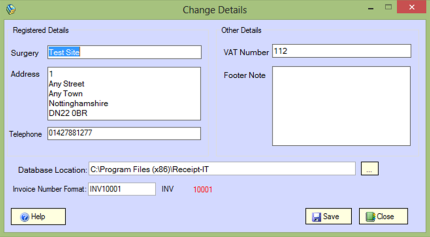 Receipt-IT is easy to use, uses plain paper (no pre-printed forms to buy) and avoids the errors which can occur with manually generated invoices. Why not try ReceiptIT today. It’s simple to download and use for 30 days as a trial. 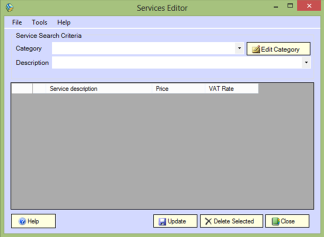 Try Receipt-IT for 30 days at no cost! Receipt-IT is available at a cost of £250 for the first machine and £50 for each additional install in the same practice group. should you wish to continue after the trial period, please complete the order form to receive an initial access code. Should you decide to continue with the software and once payment has been received, a permanent access code will be issued by e-mail. Note: To install Receipt-IT there must be an active internet connection on the PC, after installation the internet connection is no longer necessary. Supported operating systems include: Windows XP SP2, Server 2003, 2000 SP3, ME, 98SE, 98. 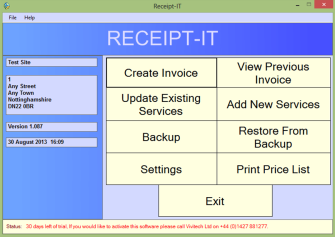 Receipt-IT will not run without the Microsoft© .NET Framework 2.0. Try Receipt-IT for 30 days at no cost Today! Simply Enter your information below and click REGISTER NOW to get started! 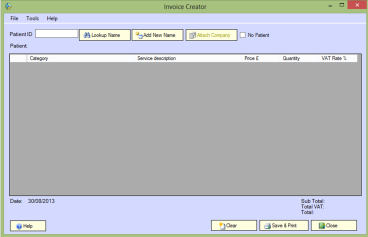 Receipt-IT is built for Dispensing Surgeries who need a simple, yet powerful Medical Invoicing System. It gives your Nurses greater control over billing, and can be used to bill any product or service your practice has to offer. Download and install it on your pc, with minimum hardware requirements. No internet connection required after activation. 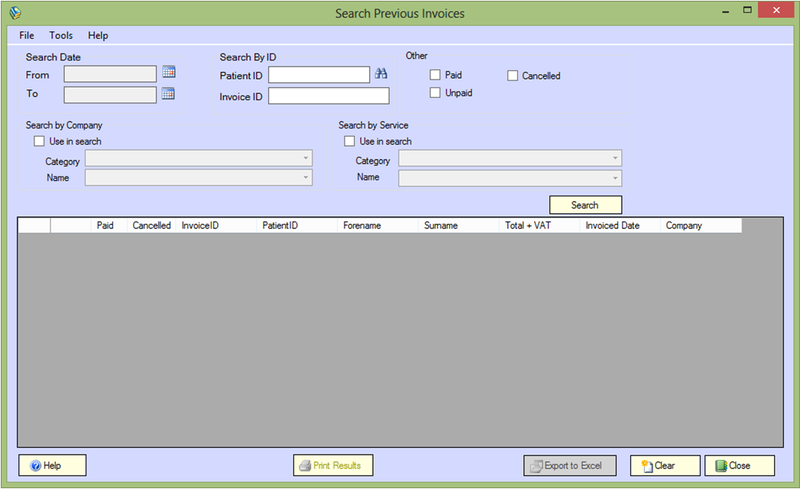 Easily manage your patient details and keep track of unbilled procedures. 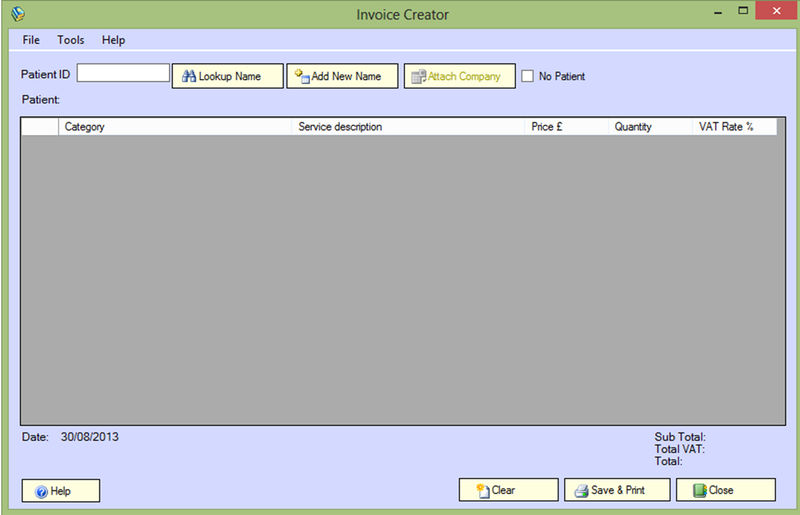 Easily create invoices and print them directly to plain paper or simply send invoices as PDF files by Email. 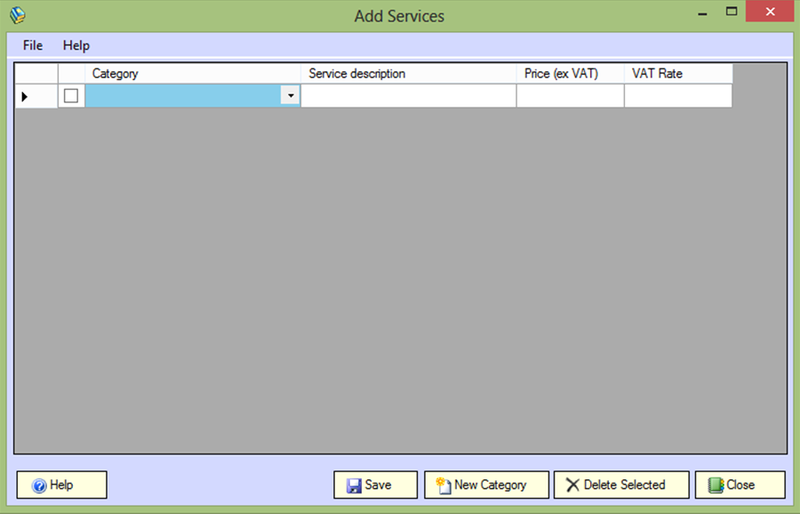 Automatically calculates VAT and logs all invoiced procedures, making it simpler for your practice to keep accounts in good standing. 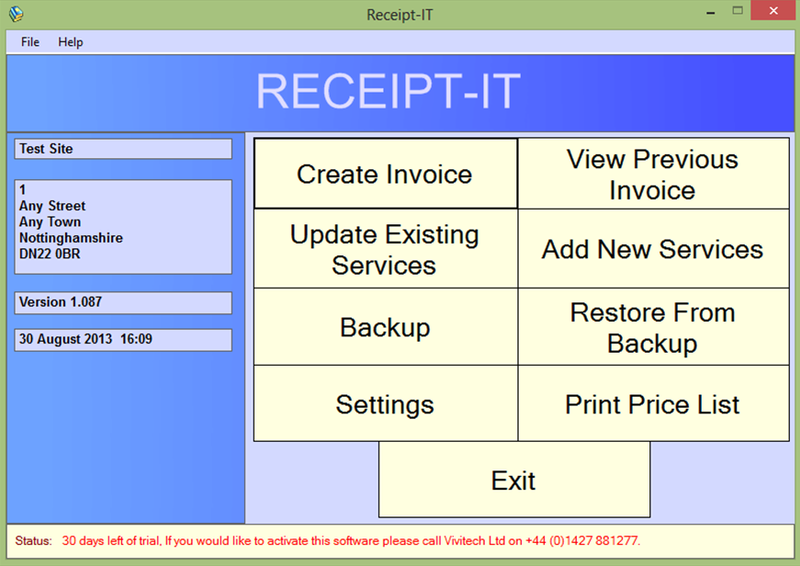 Receipt-it was developed in collaboration with our last practice manager. 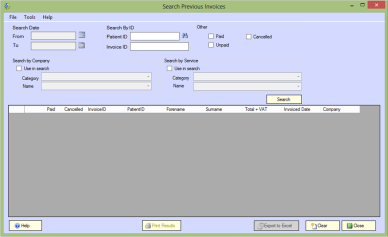 We are able to print invoices for several practice needs i.e. Private medicals, insurance reports etc. As with dispens-it we are pleased to have the systems installed at our practice, it makes life easier and timesaving. We are happy to be customers of Vivitech they could not be more committed in supporting us when needed.